"Clarkson Stanfield was born in Sunderland in December 1793, the son of the Irish writer, James Stanfield. 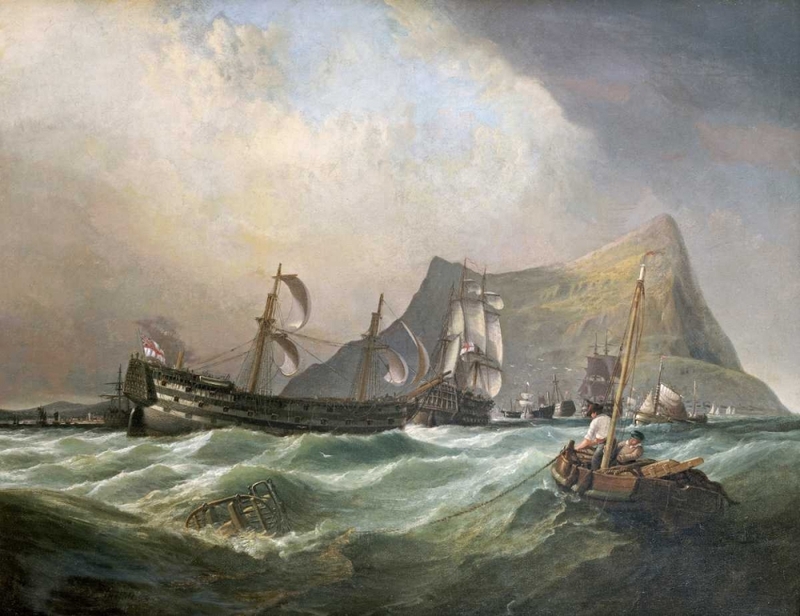 He originally began working on a ship, where he painted occasionally, but in 1818 he decided to become a painter full-time.He moved to London where he studied and spent some time as a theatre decorator, whilst still painting small marine scenes. He exhibited at the Royal Academy in 1820, and joined the Society of British Artists in 1824. In 1829 he painted his last theatre set and concentrated on painting full-time.In 1839 he travelled to Italy, France, Holland painting coastal marine scenes, which he portrayed in a very delicate, sensible style."